Occupational health and safety injury is one of the most preventable types of injury, illness and accident that occur. There are several steps companies and organisations must take to ensure their workplace is a safe and welcoming environment for students. Firstly, there should be roles and responsibilities that are the sole responsibility of senior management. Management should be able to monitor workplace health and safety and both they and employees should have access to professional advice from a qualified safety officer. Secondly, a plan should be in place for what to do when workplace accident occurs (see reporting below) and what to do following the accident. Procedures that ensure a smooth return to the workplace for people who are returning after injury are also important to help them readjust to work life. Thirdly, all incidents, no matter how large or small, need to be reported and recorded. This is necessary to administer work insurance and work cover claims as well as keeping record to uncover possible trends and future occupational health and safety incidents. Fourthly, all managers, supervisors and staff should be properly trained to conduct their roles and have adequate understanding of the workplace safety procedures compulsory by law as well as those implemented internally by the company. Fifth, the maintenance of health and safety within the workplace is an ongoing subject matter and requires regular reformation to ensure that companies and organisations are always up to date with the latest laws and regulations. It is also important to monitor ongoing occupational health and safety related accidents and analyse past, current and future trends to identify potential hazards within the workplace. Sixth, all hazards should be managed by OHS representatives. Hazards and dangers within the workplace should be identified accordingly and controlled by qualified safety officers. Lastly, companies should ensure that all staff has access to an appropriately trained qualified safety officer. This may be in the form of an external officer or an internal staff member who has undertaken training. Another option for companies is to appoint an OHS representative or a health and safety team in charge of all reports and staff queries. The OHS team should also carry out safety inspection to detect any possible hazards or safety issues. 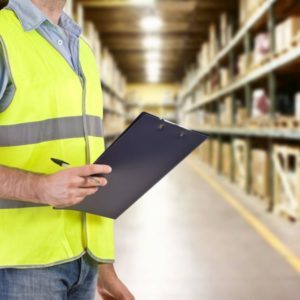 This step prepares the company for audits from an external safety officer and ensures the safety of both employers and employees within the workplace reducing OHS accident and injury.